Whether you're gearing up for your alma mater's big game this weekend or sitting pretty until Sunday when your NFL team kicks off, it's time to start planning your tailgate and game day parties. Or, let's face it: Maybe you're like most of us and don't have the free time to spend planning and cooking for a weekend event. Still, you don't want to simply grab a bowl of chips and canned salsa — homemade snacks make any party special. Here's our solution: simple, easy appetizers that can be thrown together with only a few ingredients. Our three favorites run the gamut from classic (guacamole) to elevated (ham and peaches with spiced butter) and back again to sweet and sticky chicken wings. Take your pick and get ready for the weekend. Rich, creamy and easy to customize, guacamole is a game-day classic for a reason. Our basic recipe doesn't stray far from tradition, with red onion, lime juice, jalapenos and cilantro complementing creamy Haas avocados, but it does have a trick up its sleeve: Let the onion, jalapeno and lime juice marinate together for five minutes before adding the avocado to temper and tame their bite. Trust us, it's worth the small amount of extra time. And if you want to up your guac game even further, try at least one of the four seasonal toppings in this video. 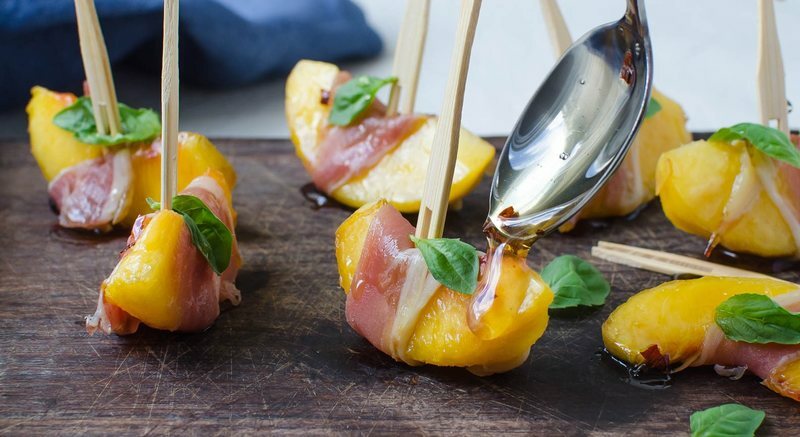 Game day guests looking for something a little more elevated will be pleased with these (still very easy) country ham and peach bites, which transform five simple ingredients into something sublime. Bright, fresh and mildy addictive, they take advantage of the bounty of peaches and basil overflowing at the farmer’s markets this time of year. The salty, buttery nature of country ham is a delicious foil to the fragrant peach and basil, and infusing the honey with red pepper flakes adds zing and rounds out the flavors. Best of all, you'll be ready to eat 'em in 15 minutes flat. These nouveau Southern wings are by no means traditional but they are lip-smacking good. 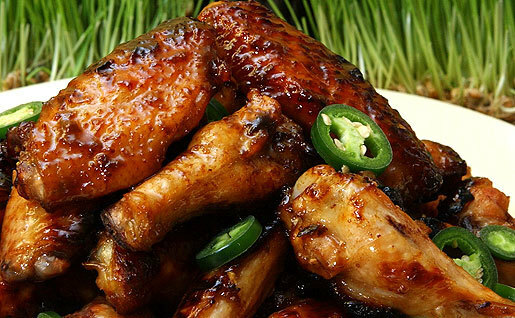 The sweetness of the soda combined with the heat of the peppers is undeniably delicious, making the wings a perfect match for your favorite easy-drinking beer. Sure, you need to simmer a sauce, but it only takes 10 minutes and you've likely got all of the ingredients in your pantry. After that, the wings just take a quick trip under the broiler and you're ready to eat.